Have you ever listened to an album & just been so blown away by how raw & powerful the music was that you didn’t have words to truly describe the way it made you feel? With the propagation of digital music, sadly, for a lot of people my age, & certainly for many folks younger than I, the answer is probably no. But I’m weird, so I still insist on buying actual CDs because there is a part of me that feels it’s very necessary to have some PHYSICAL piece to cling to in order to claim ownership of an album. (Additionally it makes it much easier to share music with friends when you have an actual CD to hand to them.) Furthermore, if I really like an artist, I feel like I’m short-changing myself if I only ever hear the singles they choose to release to radio; thus I feel it behooves me to purchase the entire album. 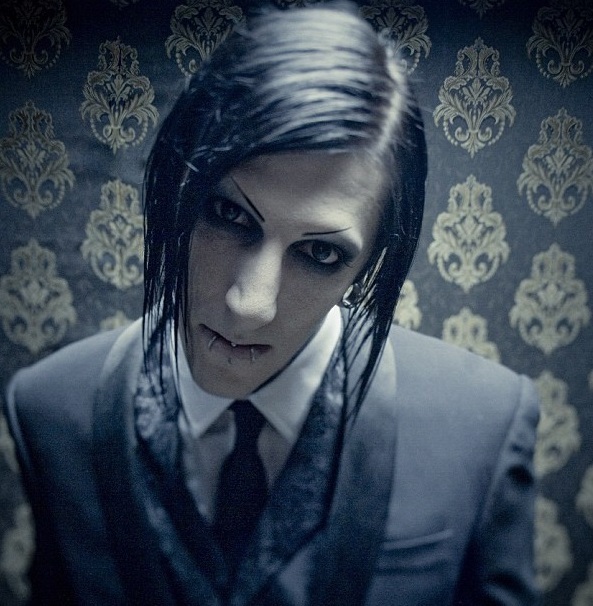 In any case, about two weeks ago I discovered the band Motionless in White while fooling around on YouTube one evening. In fact the lead singer was the inspiration behind my recent post about breaking stereotypes (https://athicketofmusingsblog.com/2015/01/19/breaking-stereotypes/). I was so impressed by the lead single Reincarnate off of their latest album of the same name that, being the music nerd that I am, I went out & purchased said album the very next day. When I popped the disc into the CD player in my car, I truly cannot describe to you the emotions & thoughts that passed through my mind as the music began to play. The best I can say is that the music was both eerie & empowering, angry yet mature, &, perhaps above all else, raw, intense, & powerful. Some two weeks later, despite the fact that the album has been on almost constant replay in my car & on my computer, this album has lost not one ounce of its power & originality. Considering that just ten years ago I wouldn’t have been caught dead listening to what might be described as a goth or horror metal band whose members dress in all black & are notorious for wearing heavy make-up, this is a pretty powerful statement. Granted my tastes are clearly far more eclectic these days or I wouldn’t have been drawn to this music at all, but nonetheless most of my favorite bands fall more on the rock side of the rock/metal genre, & perhaps it is the very fact that Motionless in White ARE quite different, both musically & in appearance, than many of my other favorite bands that makes their music so intriguing to me. To begin, I’ll be the first to admit that this album is not “safe for children.” If you’re offended by men in make-up, the F word, or music that could be described as heavy or dark, this album isn’t for you. (Which is a great pity because you’ll be missing out on a truly fantastic work of art.) 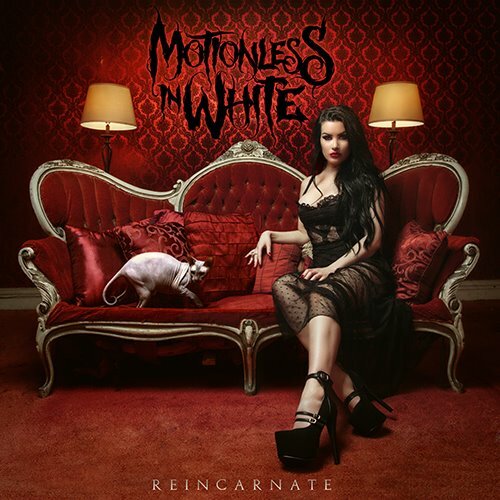 Furthermore, since purchasing Reincarnate I’ve gone back & listened to some of the songs from MIW’s previous albums, & honestly I have to say that I’m not a huge fan of their earlier work. I don’t hate it by any means. It’s just that much of it strikes me as perhaps a bit TOO heavy, even for me. Perhaps I could phrase it better by saying I like many of the lyrics from their earlier albums, but I don’t fancy the delivery of them so much. 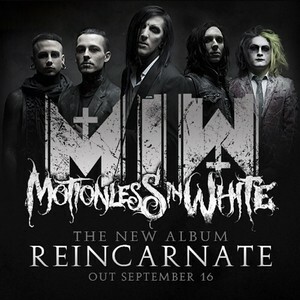 In any case, Reincarnate is pure musical genius, & I’m thrilled to report that according to many interviews the lead singer says this is EXACTLY the kind of music he’s always wanted to make which leads me to believe there will be many more great MIW recordings to look forward to in the future. Not convinced to buy the album yet? Let me describe some of my favorites for you. 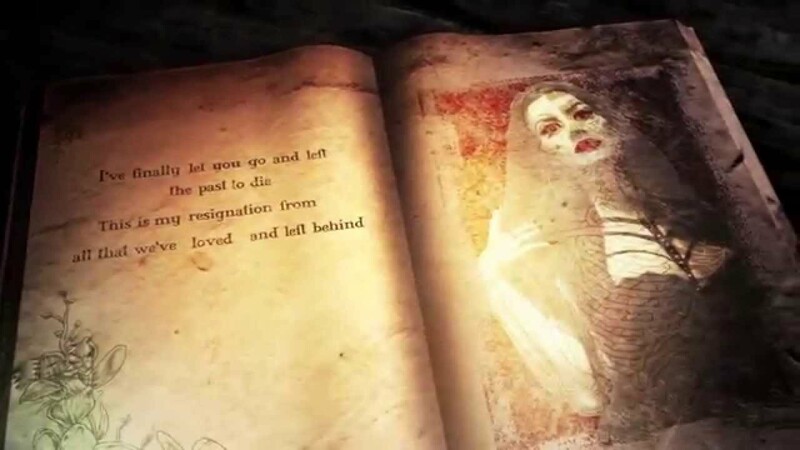 The third song Puppets 3: The Grand Finale is the last of a trilogy of songs that began on MIW’s first album & have continued on each of their subsequent releases. Chris has been very open about admitting that these songs are about a relationship with a girl he dated for six years, but he’s also been very open about saying this is truly the last Puppets piece. As the song states quite plainly, that part of his life is over & he’s leaving it in the past. This piece features Dani Filth from the English metal band Cradle of Filth (not a band I’m particularly familiar with but whose name of course I know). It is by far the fastest & probably heaviest song on this album & probably has a lot more emotional meaning for MIW fans who have followed the band since their first album, but I too find it a fascinating piece. Next up is Unstoppable. With lyrics like “I will justify this pain/I will live another day/I will fight to earn my place/I will be unstoppable” this is the PERFECT workout song, & it also makes for a great pick-me-up if you’re having a bad day. The fifth song Everybody Sells Cocaine could perhaps be considered an allegory. On the surface, the song is about drugs & the myth that they can bring happiness. But on a deeper level, I think the song is about how everywhere you look in this world, someone is trying to sell you something, whether it’s a product or an idea or religion or a political scheme. 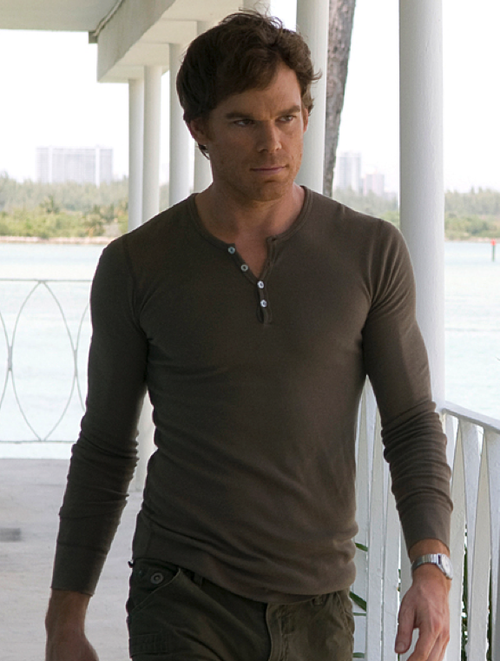 Chris has stated that he was a big fan of the TV show Dexter which is one of the few shows from the past decade that I too have really enjoyed. As you may guess from the title, the ninth song Dark Passenger was inspired by the show. Considering we all have secrets & “dark areas”in our heart that we wouldn’t want the whole word to see, lyrics like “Somehow I will break and destroy you/And reveal what was hidden in plain view/This disguise was designed/To deflect what I couldn’t show you” make the song very relatable to all of us. Chris has also stated in a number of interviews that the tenth song Wasp is his favorite from this album, at least partly because it is so different than any of MIW’s other songs. I’ll freely admit that initially the song didn’t do much for me. Frankly it just struck me as boring compared to all the harder pieces. But the more I’ve listened to the album, the more I’ve come to realize the true genius of this song. It is beautiful, dark, & haunting, & I now can’t get enough of it. If I haven’t yet convinced you to check out Reincarnate, I suppose I’m not going to. But I sincerely hope you’ll click on at least few of the links I’ve provided & allow yourself to be drawn into the dark but tantalizing world of MIW. 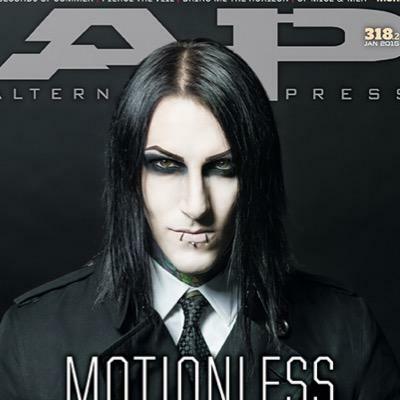 I have to end this post by giving props to Chris Motionless. 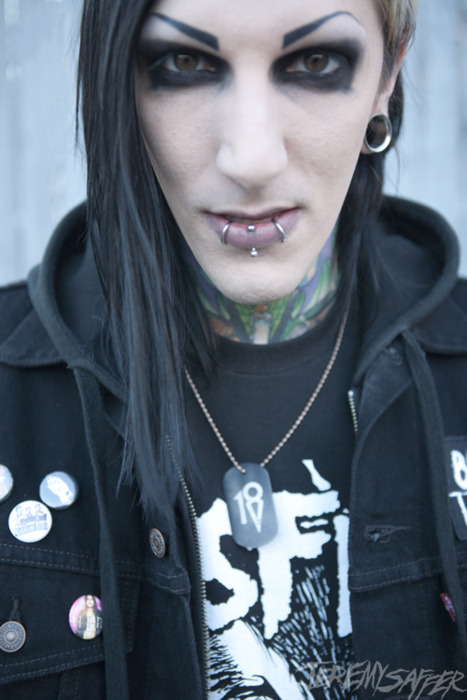 Here is a heterosexual guy my age (mid to late 20s) who is covered in tattoos & piercings . . . but also wears more make-up than the average woman. Here is a guy whose songs are far from G-rated . . . but who eschews drinking, smoking, & drugs. 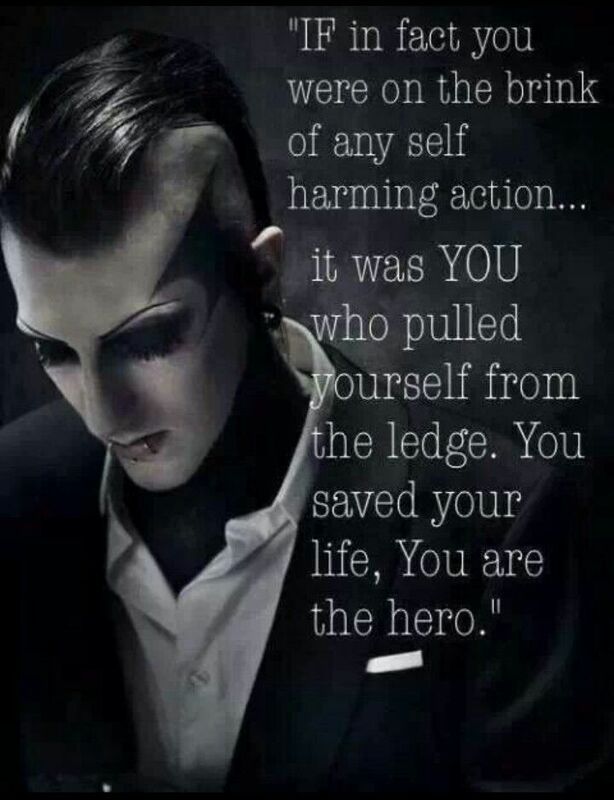 Here is a guy who encourages his fans to stop thanking him for saving their lives with his music, but instead encourages them to realize the power they have within themselves to save their own lives (see his blog post here: http://chrismotionless.tumblr.com/post/68612813830/recess-is-over). Here is a guy whose appearance could be said to belie who he really is (in other words, he isn’t what you’d be likely to assume he is based solely on appearance). And here is a guy who truly does not give a damn. You, sir, are a true rock star. Rock on with your bad self! I got to say and I’m very blunt . This band is great. They put their music into there own words and from the sight of their own view of what they see. Even of what they been put through in life. I really like that. Cause it’s true. Lyrics to a song , expresses how you feel. Even on what you relate to has well in your own life. Trust me I know. I got to leave this out here for all to see. Even the way Chris explains his own self , he don’t just mean him. But he does has a heart and i can tell he has been hurt in life and from heartbreak. Like we all do in this world. I stand with his voice and his band. 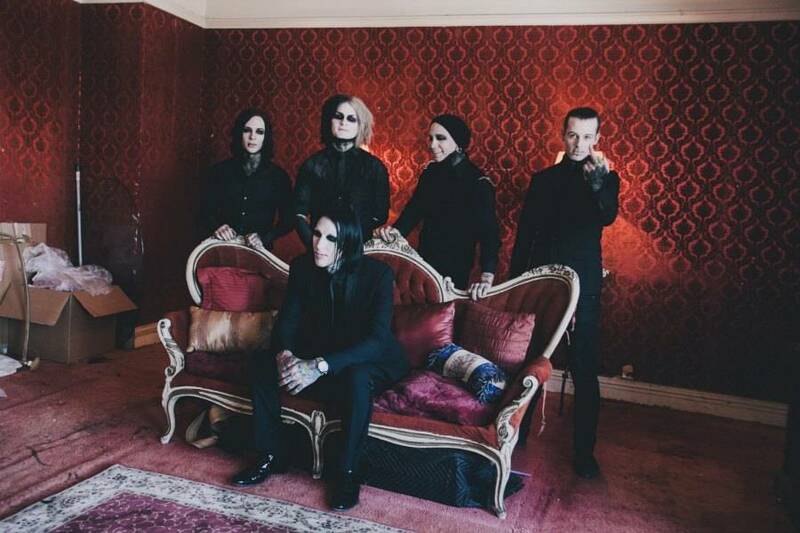 Cause these people right here Motionless In White. will give you a helping hand. If you ask, and they will try their best to help.